If you are not doing anything, come down, you'll have a great time. These parties have all been really enjoyable. 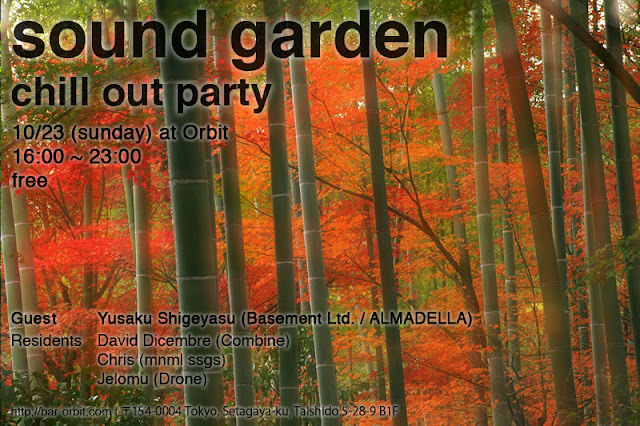 It is a nice opportunity to relax with friends, have some drinks and food, all soundtracked by some ambient and down beats. Hope to see you there! On a side note talking chillout (not really dubstep): This ambient mix from Abdulla Rashim is really delicious and highly recommended. Chris recommended his new EP on Twitter so I assume he most likely has heard it already. Still have to listen to Abdullas SmokeMachine-Podcast though. @ plan17: yep, checked that ambient mix. i really like it. this guy definitely has some interesting potential. @ rokas: thanks. should be lots of fun, as always!